With the release of iPhone X in the 18: 9 aspect ratio screen, we have already seen an exponential increase of new smartphones in this format. Today we look at a very interesting device in this new form factor, the Xiaomi Redmi 5 Plus. After having a brief discussion on it last month, today we see the full review of the most powerful version. The Xiaomi Redmi 5 Plus arrives in a pretty red cardboard box. On the front of the box, there is a large 5 followed by the writing of Plus that is used to differentiate it from the non-plus version. Inside the package, in addition to the smartphone, we can find a 5V 2A USB wall socket (in our case with a Chinese plug), a USB / micro USB cable, a dark silicone cover and a pin to extract the SIM. The package is compact and all the accessories fit perfectly in it. The silicone cover Xiaomi offered here works perfectly if you mind the slight protrusion of the rear camera. As you can see, Xiaomi has decided to use the well-known and consolidated Snapdragon 625. This processor guarantees fluidity of the system, heating less and also giving better battery life. There are two available memory variants for this handset. One is the 3GB RAM + 32GB of ROM and the other one is 4GB RAM + 64GB ROM. This type of components allow a continuous and smooth use. Even in our tests, with fairly complex games, we didn’t notice any uncertainties. Besides, it is possible to expand the memory up to a maximum of 128GB with a microSD. Of course, you have to give up one of the two slots of the nanoSIM if you would like to use the external memory. Speaking of SIM, it is important to point out how the band 20 (the 800MHz band) is absent. During use, the signal was always stable even under poor telephone signal conditions. The absence of the band 20 was felt only in areas outside the city where the device hooked the 3G because I was aware that other devices hooked the 4G on band 20. The loudspeaker sound is surprisingly powerful, considering that it only comes out of the speaker at the bottom right. The music is clear, just lacking a little cleaning on the sound, but it is more than satisfactory. The same goes for the audio in capsule that is strong. I had to lower the volume by one third. People who listen instead say they hear the voice clearly and without problems. I want to leave a separate note regarding the fingerprint sensor. It must be said that I personally do not particularly appreciate the sensors placed at the back for reasons of comfort. But I must admit that the sensor inserted on this Redmi 5 Plus is surprisingly fast and accurate. Performing a reading with the device turned off, it turns on unlocked so quickly that is unbelievable. During my use of about 2 weeks, the sensor has never failed a reading. If you are having problems, make sure to make a registration with the sensor and the finger clean. Xiaomi has been able to bring quality materials into the mid-range. The Redmi 5 Plus is in fact entirely in aluminum. It tends to keep the fingerprints a little too much, but the solidity of the materials can be noticed. Even if you hold it in your hands, you do not notice any kind of crunch. The dimensions are quite important, 158.5 x 75.45 x 8.05mm with a weight of 180 grams. Despite the size, the 18: 9 format guarantees a firm grip and ease of use even with just one hand. There are no keys on the front, but in the upper part includes the receiver and the various sensors, front camera, as well as a small notification LED. The top side has the microphone hole, the infrared port (to control TV etc with the system app) and the 3.5mm headphone jack. The jack is not perfectly centered compared to the size of the side, nothing wrong but a greater attention to detail would make the devices more premium. The left side is completely free if we exclude the presence of the hole to get the SIM / microSD out trolley. On the right side are the keys, at the top, for volume control and below the on / off button. The keys are long and comfortable and the response is satisfying. Finally, in the lower side, we find some holes, on the left for the MIC and on the right for the speaker. In the center instead there is a microUSB port. After a long time since the introduction of the new Type-C USB standard I would have expected something more on this front. The rear part is entirely in aluminum, as already mentioned, with the main camera placed at the center in the upper part and followed by the dual LED Flash and the fingerprint reader. In the top and bottom we find two bars that follow the outline of the device. These are the antennas, in fact these are the only non-aluminum area. On the Redmi 5 Plus, we have a large 5.9″ display in the 18: 9 aspect ratio and with a good FHD + resolution of 2160×1080 pixels. Excellent pixel density on a well-made panel. I must say that the distance of the image compared to the glass of the display is really reduced to a minimum, so that while tilting the display at special angles the image is clearly visible. The colors are not brilliant, perhaps becasue of the film on the display that also reduces the friction of the finger during use. At the edge of the display we can see a slight 2.5D curvature. I really appreciated the curved corners of the display. Usually the displays in the corners are closed with 90 ° corners. In this case we have a round curvature that follows the shapes of the device. What I didn’t support is the automatic brightness management. As for me, it tends to always be slightly darker than what it would take (considering that I put my device at a lower brightness, this is the case that I have slightly increased the brightness). The light sensor responds well, even though I found it less fast than other devices. The display management system still has some goodies, such as the reading mode to not strain your eyes. In this type of mode, the display will tend to red, excluding the blue color. We can then choose whether to have the display with a warmer or colder tone plus other small color settings. Approaching for a display in a different format first time, I must say that I greatly appreciated the lengthened format. I could indeed have a display of a larger size but comfortable to be in your hands. To make a comparison is slightly tighter than an iPhone 8 Plus but much more comfortable. In addition, a more elongated size made me appreciate more the split screen. I was able to safely use two APPs simultaneously without feeling tight during use. The camera is perhaps the thing that we see first when choosing a smartphone. In this price range, however, despite the excellent level of hardware, it is difficult to have a photographic quality comparable to devices of higher price ranges. The Redmi 5 Plus is no exception. The photographic quality is not bad but the “problems” are the usual for these devices. The Redmi 5 Plus has a 12MP rear camera, a dual LED flash and a PDAF autofocus. The aperture is average f / 2.2. All these data are realized with good shots with optimal lighting conditions. When we are going to make shots with low light conditions the quality drops drastically. In general, I recommend to use the HDR mode. It dosen’t overexpose all those photos that immortalize the sky or particularly bright areas. The sensor in fact tends to lighten the images. In night shots, on the other hand, there is always a strong noise. The front camera is 5MP with a usual quality. In fact, if not in the high end, there are few builders who pay particular attention to that. Little gem is that the LED notification flash illuminates the face in low light when you decide to take a picture with the front camera in the dark. This not only increases the brightness of the image but also reduces the blur effect that occurs with poor lighting conditions. The Redmi 5 Plus is powered by a large 4000 mAh battery. With the low-power comsuption processor, it’s no problem to work through a day. In fact, if you had a low average use of the device you could get to do even 2 days of use. With my stress tests I got to do about 6 hours of screen on during my daily use. To charge a battery of this size it will take a long time. Fortunately the device supports the Quick Charge mode, so if we had a compatible charger we could do a recharge from 0 to 100 in about 90 minutes. However, considering the battery life of the device, the rapid charges will really be the one of our concerns. The OS version on the Redmi 5 Plus is the MIUI 9.2 China Stable which is based on the previous 7.1.2 Noguat. The OTA updates are active. I never expected the presence of the Oreo version, anyway it does not matter because Xiaomi has accustomed us to constant updates of MIUI with its functions and peculiarities. The present one is therefore the classic stable MIUI. I would like to add that there is currently no Global Stable Xiaomi ROM for this device. Personally I decided to install the Play Store directly from the Mi Store. Fortunately, unlike in the past, China Stable brings with it not only the various Chinese languages ​​but also English. In this way the device is easily used during daily use. Obviously this waiting for an official ROM to be installed instead of the ROM China. The device is placed in a price range ranging from € 160 to € 200 based on promotions and version chosen. This makes us understand how the target market is that of the medium range. This does not mean that the components and the build quality are from medium range. If you have searched on Amazon for a device with similar specs you would note how the price goes up around € 100. 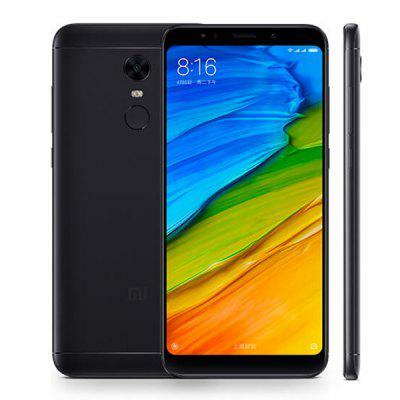 Xiaomi has stupid us for its ability to produce devices with the specs that follow the fashions of the moment without however requiring disproportionate prices. This device at the time of writing is only in Chinese version and therefore is waiting for global versions for aware users. The real thing at the moment where the various competitors in the market should focus more is the increase in the quality of photographic sensors. Let’s be clear the pictures are made and are good for this social era. But those who are accustomed to the quality of the TOP range will always notice how low brightness is tremendous for the sensors inserted in all the other bands. 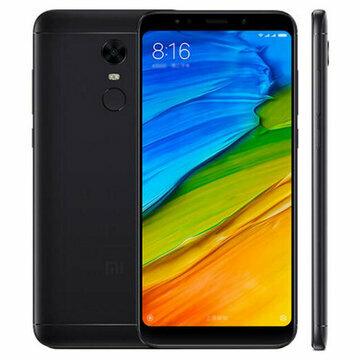 We want you to take advantage of some promotions made by the well-known online store that has included particularly advantageous offers for both the Xiaomi Redmi 5 Plus and the younger brother. We leave below here some direct links to the stores where you can make the purchase. Lenovo S5 / K520 Specs published – A worthy Budget Smartphone?